Hiroko Sasaki has established a successful career as recitalist, chamber musician, and concerto soloist. Ms. Sasaki's concert debut in Carnegie Hall's Weill Recital Hall prompted the New York Concert Review to declare her "a true artist at work." Musical America praised the same concert for its "exquisite proportion and rare poetic understatement." The Washington Post has acclaimed her "radiant playing," and the 2004 Musical America singled her out as one of the world's most outstanding young musicians. 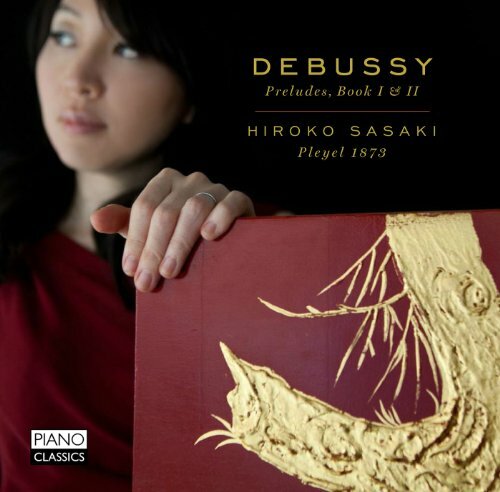 When pianist Hiroko Sasaki was looking for an instrument to record the Debussy Preludes on, she happened to spot a strange looking instrument, which turned out to be a Pleyel concert grand built in 1873, and she instantly fell in love with it. The piano, built in a beautifully ornamented harpsichord case, offers her the special sonorities, dynamics and colors that she thinks are essential in Debussy, who himself owned a Pleyel piano, his favorite instrument.